MARCI WISEMAN is co-President of Blumhouse Television. Wiseman (along with co-President Jeremy Gold) is growing the footprint of Blumhouse’s independent television studio, managing its portfolio of scripted and unscripted TV series, supervising creative development and production and overseeing distribution strategies across all platforms. Wiseman and Gold are leading the expansion of the Blumhouse brand beyond horror content to explore not only genre material, but also dark, provocative subject matter with projects like Good Lord Bird, the eight-part, limited series recently ordered to series by Showtime, executive produced by James McBride, who wrote the bestselling book the series is based on; award-winning author Mark Richard; Emmy winner Anthony Hemingway, who will also direct; and Ethan Hawke, who will also star in the series. Blumhouse Television has a second limited series called The Loudest Voice, in production for Showtime with Academy Award-winning writer/director Tom McCarthy and starring Academy Award and Golden Globe winner Russell Crowe in the title role, based on the book by acclaimed journalist, Gabe Sherman. Since joining Blumhouse in 2016, Wiseman and Gold successfully concluded a capital raise of $40 million and currently have close to $100m in annual production revenue. During that time, the company has launched series including Sharp Objects for HBO (based on Gillian Flynn’s novel from Marti Noxon and Jean-Marc Valle and starring Amy Adams); Sacred Lies for Facebook Watch (from Raelle Tucker and Scott Winant); The Purge for USA/Syfy based on the successful Purge film franchise; and is currently in production on Into The Dark, a first-of-its-kind 12 episode monthly horror anthology series for Hulu. Blumhouse Television has also earned critical acclaim and numerous honors for its dark, edgy fare including a Golden Globe and Critics Choice Award for Sharp Objects and Emmy awards for its productions of HBO’s The Normal Heart and The Jinx, as well as the prestigious Peabody award for The Jinx and the documentary How to Dance in Ohio. Wiseman and Gold have also built a significant feature-length documentary division, with five projects currently in development and completed documentaries in the marketplace, including This Is Home, the 2018 Sundance Audience Award winner (World Documentaries), aired on EPIX in June of 2018 and Bathtubs Over Broadway, which was awarded the Albert Maysles New Documentary Director Award at the 2018 Tribeca Film Festival and won the Documentary Feature Audience Award at 23rd annual Nantucket Film Festival. A significant majority of Wiseman’s TV career has been spent building and growing independent content play television companies. As a long-time executive at AMC, Wiseman launched AMC Studios, whose first series was the mega-hit The Walking Dead and for which Wiseman orchestrated the unprecedented day-and-date global release of the series. Wiseman was responsible for the growth of AMC’s library of owned content with series such as Turn, Halt and Catch Fire, Fear the Walking Dead, Into the Badlands and Rectify; and for launching AMC’s foray into international co-production with Night Manager. As the sole executive responsible for building AMC’s highly successful distribution business, Wiseman brokered the cable group’s first exclusive SVOD deal with Netflix in 2011, its 2015 SVOD deal with Hulu, as well as long-term distribution deals with eOne and Anchor Bay. Before joining Blumhouse, Wiseman was Executive Vice President, Global Production and Business Affairs at eOne Television and was instrumental in negotiating key deals with Amazon for global rights to series such as Fear the Walking Dead and Into the Badlands and oversaw international co-production in Canada, France, and the UK. From 2000-2010, Wiseman was the owner of a boutique, specialized business development consulting firm developing, designing and managing new business models for various clients. Major highlights include: launching fox21 (the first major studio arm to specialize in cable TV series); working for FOX on dozens of pioneering, breakout reality series, including American Idol and Joe Millionaire; an building the business model for Fremantle’s entrée into scripted drama in the U.S.
Wiseman previously ran business affairs at Pressman Films and served as a VP, Business Affairs on the feature side at Columbia (Sony) Pictures. Wiseman also took a brief leave from the entertainment industry and served in the Riordan administration as Assistant Deputy Mayor, Economic Development for the city of Los Angeles. Wiseman was named to 2012 Variety Women of Impact List and was a 2013 Honoree at the JDRF LA Gala. 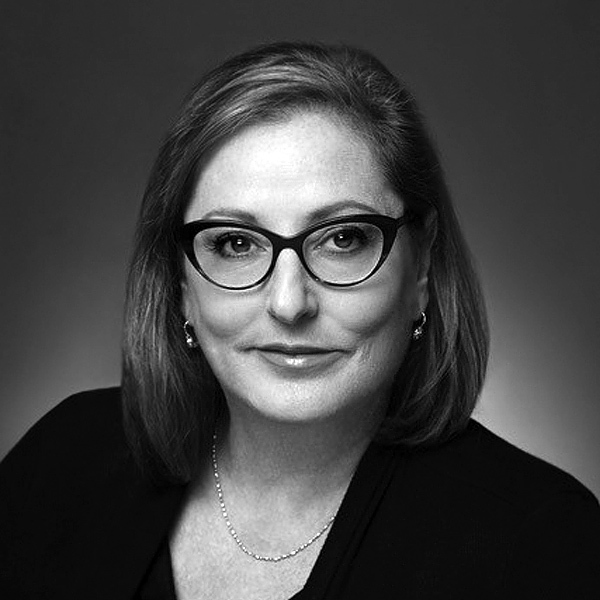 Wiseman received her law degree from New York University and began her career at O’Melveny & Myers and earned her bachelor’s degree from Georgetown University. The place to be … For the business you’re in. Sessions you won’t find anywhere else. Real stories from the producing trenches. The biggest and brightest stars from our diverse and creative community. REGISTER NOW.